This ABC Wednesday brings us to the letter ‘Q’. First thing that comes to mind is Quandary for it is not the most commonly used letter of the alphabet. What the heck can I do that starts with ‘Q’? 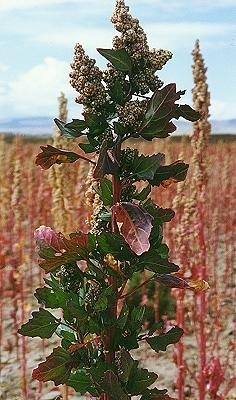 Quinoa is pronounced Keenwa. This is a Gluten-free product that I didn’t even really know about until I was diagnosed with Celiac Disease and had to find new ways to eat whole grains other than wheat, barley, rye and oats. It looked kind of strange, and has a different texture, BUT I was pleasantly surprised once I actually tried it. Now it has become a staple of my household. 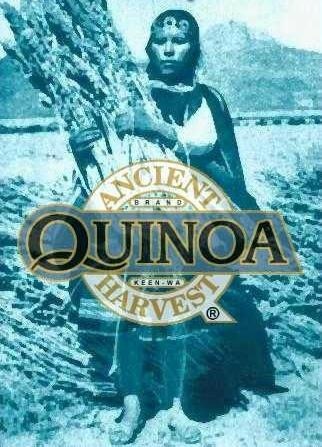 I just about always have Quinoa around and it can very often be ‘changed out’ with rice. Looks like this when it is growing. And like this when I get it at the store. The Quinoa photos are all courtesy of the Quinoa Corporation. One of my most cherished possessions is my lovely, handmade Greyhound Quilt! This Quilt was made and given to me by a friend’s mother as a gift while I was running Greyhound Pets Of America – Minnesota. (a retired racing Greyhound rescue/adoption group). I draped it out over my couch for the photo. Toward the top center you can see a greyhound stretching out on a couch and it says ‘Home Stretch’. I drew the picture as a ‘logo’ for the group’s newsletter, which I did each month. We had a contest to ‘name’ the newsletter the second month it came out and one of the group’s volunteers won with the title ‘Home Stretch’. There is actually Quite a bit of me portrayed in this Quilt. (at least I think so) I will always love it and think it is one of the most beautiful gifts ever. 🙂 I will be forever grateful for it. *As a side note if you click on the link and go to the GPA-MN website you will find a short video on the website that I did titled ‘Camping With Retired Racing Greyhounds’…short and fun was all that was intended….not really an informative clip. And of course a lot of information about Retired Racing Greyhounds.